Ambassador Dusava Visits Tottori City in Tottori Prefecture and holds satisfactory discussions with both Governor Shinji Hirai and Mayor Yoshihiko Fukazawa. Ambassador Dusava visited Tottori Prefecture from 13-15 October, 2016. During his Visit, Ambassador Dusava met with Governor Shinji Hirai and Mayor Yoshihiko Fukazawa during which time they discussed ways and means to promote cooperation between Papua New Guinea and Tottori, in areas such as Marine Products and cottages industries, including Mushroom Farming and Production. Both Governor and Mayor where delighted to meet Ambassador Dusava and thanked him for visiting the Prefecture and the capital city of Tottori, and expressed support for cooperation between Tottori, PNG Embassy and Papua New Guinea as a country. Ambassador Dusava also visited special attractions such as the Tottori National Park, Sand Dunes and the associated Sand Dunes Museum, environmentally friendly touristic areas, such as Amedaki (Water Fall), Sanin Kaigan Geo Park (Uradome sightseeing by boat), and others. 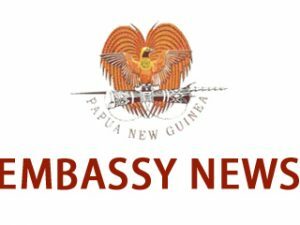 Ambassador will brief his Government in Port Moresby and maintain contact with the Prefectural authorities, and undertake further visits in the future to pursue advancement of PNG’s interests in this part of Japan.